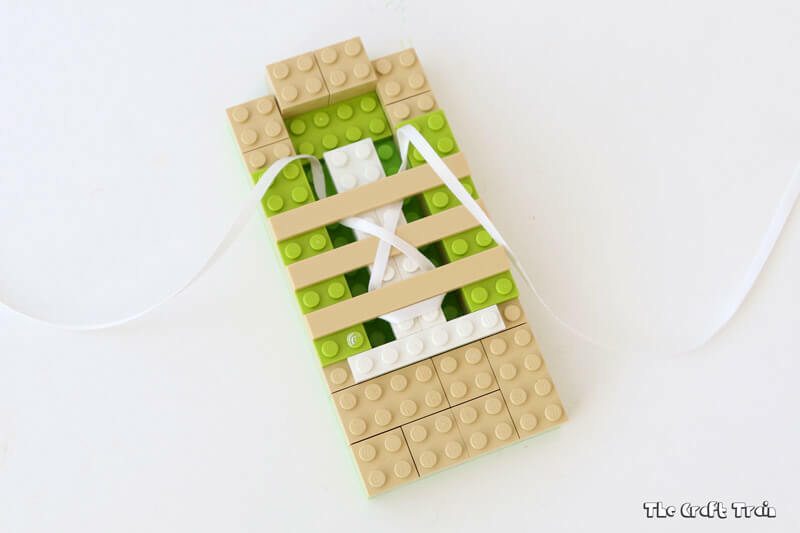 Make a shoelace practice board from Lego to help kids to learn how to tie their laces! Tying a shoelace is second nature to an adult. It’s so easy that we don’t even need to think about it, kind of like breathing. Can you remember a time when it seemed super-complicated and tricky though? I can. When I was in kindergarten we had long fabric strips and every child had to tie one onto the back of their chair before going home. This is how I learned, but I know it took me a long time before I could do it easily. They don’t seem to teach this kind of thing at school anymore, and to top it off many kids’ shoes are done up with velcro or buckles so it’s not surprising that lots of kids can’t tie up a shoelace. My eight year old could not tie her shoelaces until very recently. She had tried lots of times but just wasn’t getting the knack of it. I had even made her a sparkly cardboard practice card, but when her younger sister picked it up within 10 minutes and she still couldn’t do it practicing became even less appealing for her. Eventually her sparkly practice card was tossed in the recycling bin in a ruthless decluttering session – I’d given up hope that she would ever use it. Practicing something she simply couldn’t do was something my daughter found boring and unrewarding, I totally understood that. Then we decided to create a practice board with Lego, and we all know that everything is more fun with Lego! It was not a magic quick-fix. She still had to work hard at practicing those bows, and it was still frustrating, but eventually she could tie up her own shoelace. Hip-hooray! I felt so proud that we went out to celebrate. 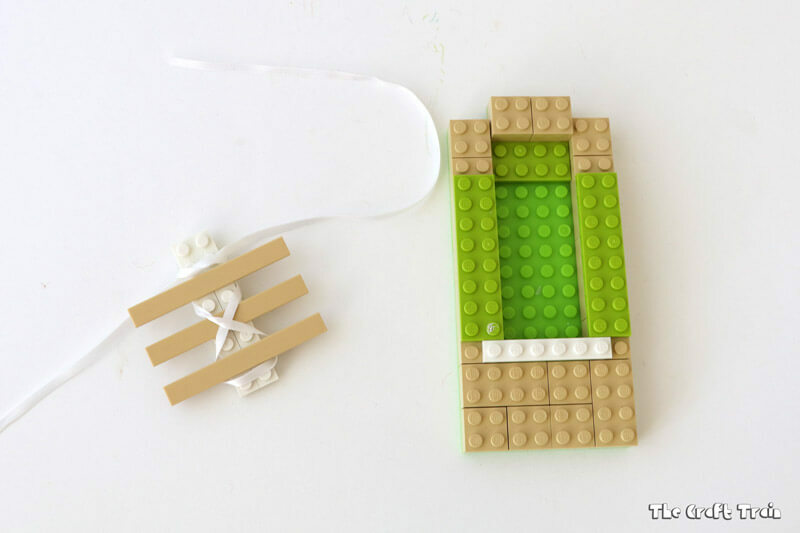 Build around the edges of the small baseboard with regular bricks, leaving a hole in the middle. 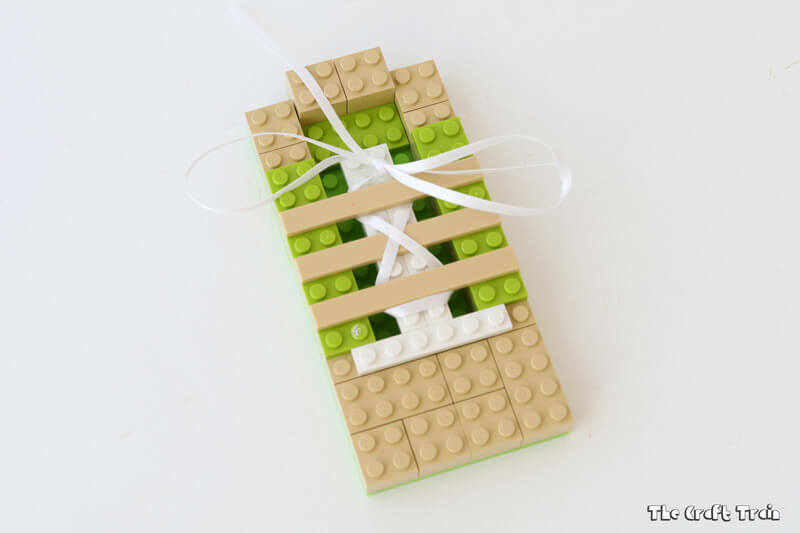 Add some flat skinny pieces around the edges of the hole. 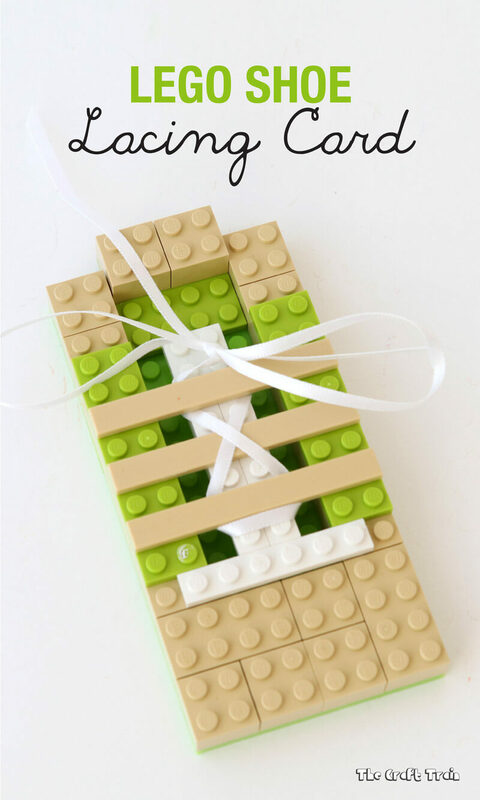 Working separately to your ‘shoe’, place 3 long, skinny flat pieces horizontally across another long skinny flat piece. This becomes the holes for the laces. 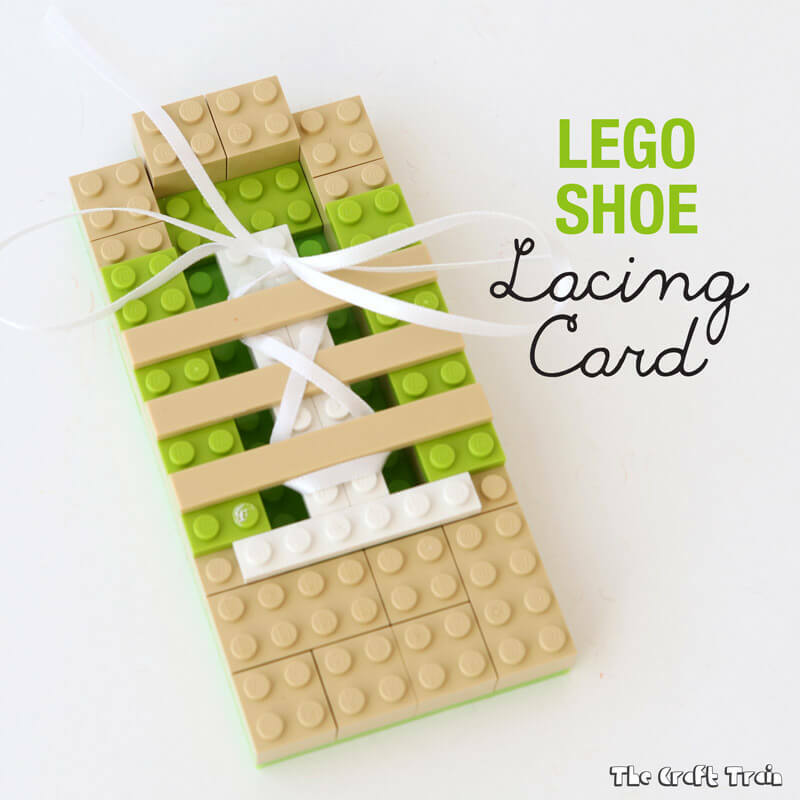 Lace the ribbon onto the this piece before attaching it to the top of your lego shoe. It’s a bit too tricky to do this once it’s already been attached. Visit our Learning ideas for kids board on Pinterest for lots more inspiration.